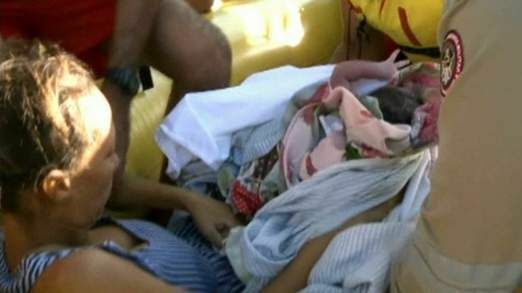 A mother has given birth to a baby boy while on a boat carrying relief supplies to Brazil’s flood-hit city of Linahers. The birth took place after a disaster relief team was told by a villager that a pregnant woman needed to be urgently taken to hospital. 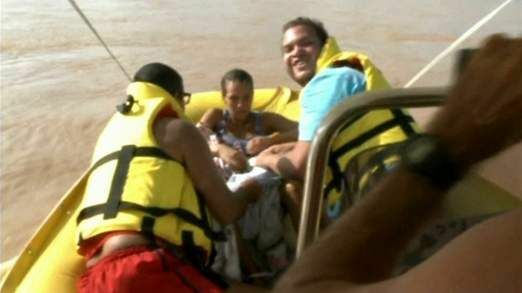 Two firefighters and a volunteer reached the expectant mother by boat. During the return journey, one of the firefighters realised they would have to help the woman deliver the baby there and then. "Life is precious. Many have died in the floods. I think the birth of the child was a miracle made by our hard work," one of the firefighters said. The 22-year-old mother had suffered labour pains a day earlier, but was unable to get to hospital as all transport had been cut-off by the floods. Flooding caused by more than 10 days of heavy downpours has killed at least 23 people and displaced 61,000 others in 52 cities in Espirito Santo state. In the neighbouring state of Minas Gerais at least 18 people have died. Linahers, where many locals living in mountainous areas are unreachable on land due to damaged bridges, is one of the most severely affected areas. Rescue teams can only approach the isolated areas by helicopters or boats to provide disaster aid. Wow! That's one hell of a birth story! "I think the birth of the child was a miracle made by our hard work,"
Pfft, If anyone one was working hard it was the mother.